This entry was posted on July 23, 2011 at 6:00 am and is filed under Barack Obama, Conservative Issues, Economy. You can follow any responses to this entry through the RSS 2.0 feed. You can skip to the end and leave a response. Pinging is currently not allowed. MichaelE: Even S&P is warning of this situation and what does obamarx an the demoncracKKKs do? Their ignorance is ever before them. You are blaming Obama for the sins of the Republicans who insist on protecting the wealthy. The US is becoming a nation of the haves & have nots–so remember that when the Revolution comes . . . to our country. First of all, you are RIGHT in saying that when the violence and revolution comes to this country, it will be the LEFT that starts it. But you are wrong about the “why” of that. The actual WHY is BECAUSE the left is intrinsically violent and always HAS been. In our own country we go back to the 1960s and the violent groups like Students for a Democratic Society, the Weathermen (and Obama’s terrorist pal William Ayers) and the Black Panthers (with Obama and his pal Eric Holder refusing to bring a New Black Panther who wants to kill “white cracker whores” AND their babies to violent ends in the NEXT revolution). Presumably you’re female, Diane. You wouldn’t happen to be a “white, dirty cracker whore,” would you??? All that to say that of course a violent revolution is coming. Because there are too many people who think like you to NOT have one. But you know what it makes you to threaten violence if people don’t give you what you want, Diane? An extortionist and a terrorist. Here’s the next thing. “Republicans are protecting the wealthy,” are they? You’re really quite the ignorant one, aren’t you? NEW YORK Wall Street is supposed to have lost love for President Barack Obama since his election, but early donations suggest he actually is doing better with the finance industry this time around. Among big fundraisers, Obama’s re-election campaign has drawn close to a third of his money from the industry, up from 20 percent during his 2008 campaign, according to an analysis by the Center for Responsive Politics. The amount raised so far is more than two-thirds what Wall Street elites helped Obama raise in his entire 2008 campaign. And it is enough to make the finance world the single largest source of big-ticket donations for Obama. 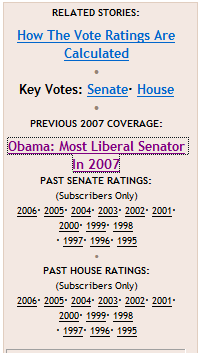 By comparison, the legal profession was his top source in 2008. And consider that in 2008, Barack Obama took more money from corrupt Wall Street player Lehman Brothers THAN ANYBODY. And Lehman Brothers was as responsible for the 2008 collapse as ANYONE in the private sector. Which is to say it is really quite remarkable that the “wealthy” don’t know what you think YOU know, Diane. They seem to believe that Obama will make their rich, cozy lives quite a bit richer and cozier. There’s something called “crony capitalism,” which is basically fascism. A lot of big corporations (try GE as just one example) find that they can make a LOT of money off the government. You notice that GE makes all kinds of money benefitting from regulations Democrats have passed, pays ZERO income taxes, and then gives Democrats back a bunch of money in campaign donations. Nice racket. Particularly given that there are people who are actually dumb enough to believe that these same Democrats give a damn about little people when this crap is going on all around them. But here’s yet a third thing that you clearly can’t understand. I write about it and document it in articles like this one: https://startthinkingright.wordpress.com/2011/07/11/ap-reported-fact-u-s-economy-the-worst-since-the-last-time-we-let-a-socialist-run-it/ Every time we raise the income tax rates the way you and Obama want, the rich end up paying LESS and the poor end up paying MORE. Why is this, Diane? Because when you hit the rich with sky-high tax rates, they SHELTER their money. Rather than go up, revenues go down. Fewer jobs are created because there is no incentive for the rich to create them. And excise taxes (liquor taxes, cigarette taxes, etc.) which are borne mostly by the poor end up counting for a larger and larger percentage of the revenue. It’s happened over and over and over again. But you idiot liberals keep playing the same Marxist class warfare game. It is an evil game that comes from a genuinely evil source. But it seems to suit you people. In the early 1990s in the name of making the rich pay their fair share, you liberals passed the luxury tax on things like yachts. You stupidly predicted it would raise all kinds of revenue that would only target the rich. But guess what happened? The rich stopped buying yachts. It was like the industry sank like a stone. Hundreds of thousands of workers lost their jobs. People who built yachts and maintained yachts were utterly devastated. You damn liberals gutted the industry until you were forced to rescind the tax a couple of years later. And now you’re trying to do the same damn thing with “corporate jets,” because you idiots truly just never learn. Don’t tell me that “Republicans protect the wealthy,” Diane. What they protect is anybody who wants a damn job. The rich create jobs. They do so by their investment and by their leadership. When the rich are allowed to keep their profit, it provides an incentive for them to benefit the economy and everyone else. When you nasty liberals play your Marxist class warfare games to cynically get votes from stupid people, the rich protect themselves and the economy shuts down. It’s frankly amazing how stupid Democrats are determined to be. Remember how the Democrats were going to “make the rich pay their fair share.” Only what happened is that the rich didn’t pay anything. They quit buying yachts and items under the luxury tax and the workers who built and maintained and docked the yachts lost their jobs and suffered terribly. The entire yacht indistry was essentially destroyed. Democrats are bad people. They are literally demonic. And demonic people believe lies and refuse to EVER believe the truth. Diane: Sins? what sins are your talking about? Drop the pop culture rhetoric and be specific. How is it that it is the “haves” fault that the “have nots” don’t have what the “haves” have? Must I remind you that the vast majority of “have nots” don’t have because of LIFE CHOICES; they drop out of high school/perform poorly in hs/otherwise don’t pursue an education or skill beyond high school; commit crime in high school/incarceration. According to the FBI 80% of incarcerated are high school drop outs. High school drop out problem is not as bad as it once was, but still a problem. And, teen pregancy plays a contributing factor in the black communitiy. There is a very high percentage of teen pregnancies and the odds are, those children we wind up in poverty because the black mother is at odds of graduating from high school and pursuing education beyond hs.Result: this black child from an unwed mother winds up living with a relative/grandparent/uncle/aunt/ and don’t have the discipline that the NEED from a STABLE home life with CARING parents and more often than not causes problems in the classroom and drops out of hs/or graduates with low grades to the point they cannot get into any post hs institution. As someone who has taught high school at one time, I know what I am talking about.So, what does your obamarx and ilk do? Pander to this group with lies, promise “dem a gubmint check” and claim it is the “rich white folks fault”. I am becoming disgusted at the worthless obamarx and his worthless administration and the worthless democrat party that continue there attack on the American people who PRODUCE. The class envy the democrat party displays when they want to raise taxes on the “rich” just gets me red under the collar. Don’t they realize that the people who actually PRODUCE something are the “rich”? They have the heaviest tax burden. If you don’t believe me, then contact the IRS. They keep statistical data that dispels the myths and lies of the worthless democrat party that the “rich” don’t pay their “fair share”. They most certainly do. Btw Diane: more and an underlying cause as to why the “have nots” don’t have what the “haves” have. Diane: I would argue the most (or greates underlying cause of human suffering) destructive of all sins is ENVY. I.e, and evil, sinister desire for power and control of people,material things, and postions of power. One of the worst and most destructive “sins” of YOUR demoncracKKK party is class ENVY. Not to mention killing un born humans and promoting homosexuality as acceptable behavior. Yes siree; classic demoncracKKK party:, a sinister, evil, hatred and desire of possesions of your neighbor’s that you don’t have, could be argued as the underlying force of all sins.